When UW–Madison graduate student Laura Huff took to the streets earlier this semester for a national march against gun violence, she carried with her voices from another protest many decades earlier. Huff was among several UW–Madison students who helped university archivists this academic year with a public history project tied to the 50th anniversary of the campus Dow Chemical Company protests. The team of students and archivists captured live interviews with alumni connected to the events of Oct. 18, 1967, a day police officers forcibly removed Dow protesters from the Commerce Building using billy clubs. “As I was participating in the anti-gun violence march, I was thinking about the differences in the two protests and asking myself whether I would be as committed to my cause if I knew police violence was a possibility,” says Huff, of Peshtigo, Wisconsin. Over two days last fall, UW–Madison Libraries, in partnership with Madison Public Library, invited people to drop by recording stations at the Central Library in downtown Madison and share stories of the Dow protests. Two dozen people did. Audio recordings of those interviews are now available at go.wisc.edu/dow-recordings. 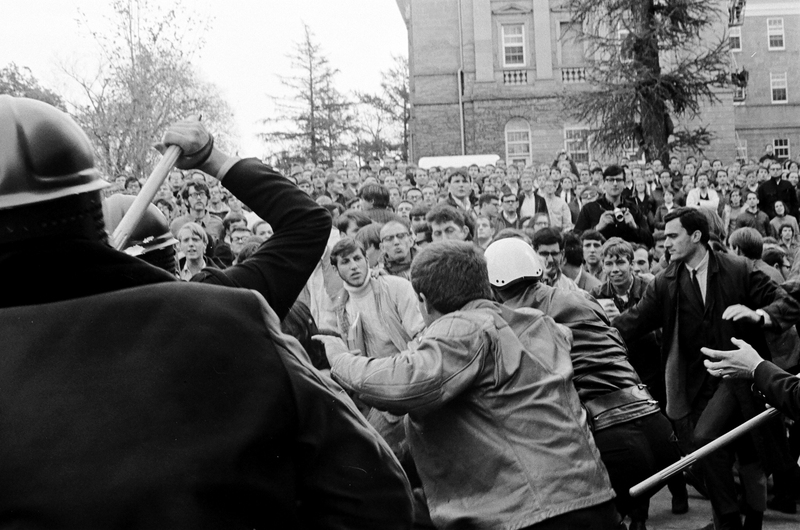 The protest on Oct. 18, 1967, injured dozens of students and police officers and propelled UW–Madison to the forefront of the anti-Vietnam War movement. Many UW–Madison students at the time objected to Dow’s role in the war and to its campus recruiting efforts. The company manufactured napalm, a chemical weapon used by the U.S. military. Read more about the violent clash here. 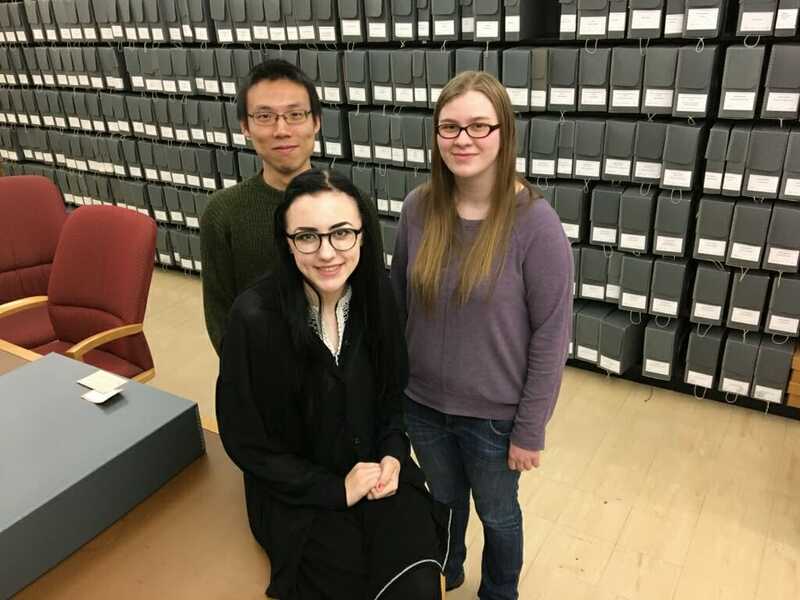 About a dozen UW–Madison students assisted university archivists in the public history project. Huff and two fellow students, Avery Pilot and Yiqi Yu, contributed the most, collecting stories, processing the interviews, and working to make the audio recordings accessible online, says Troy Reeves, who led the project as head of the Oral History Program at UW–Madison Archives, part of UW–Madison Libraries. Huff participated in the project first as a volunteer, then as a student worker with UW–Madison Archives. Pilot and Yu came to the project through for-credit internships, then stayed on as volunteers. All three students say they were personally moved by the memories they heard. Working on the project helped them hone career skills — and changed how they view protests. Listen to Beth Wortzel’s account of the protests. The various viewpoints “made me think about the protest in a more centrist way,” Huff says.